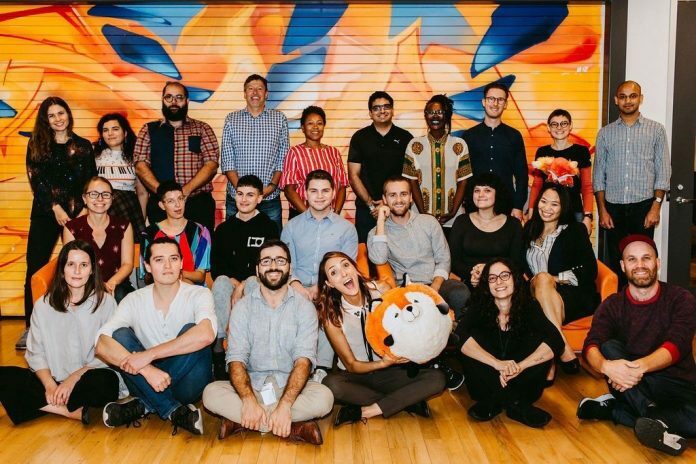 The Mozilla Fellows program – a collaboration between the Fundación Ford y de Mozilla – is an international leadership initiative that brings together the best emerging technology talent and civil society organizations to advance and protect the open internet. Cada año, los becarios pasan 10 meses integrados en las principales organizaciones de defensa para salvaguardar el Internet abierto como recurso público global. El programa proporciona un ecosistema para la próxima generación de defensores abiertos de Internet para tener un impacto temprano mientras se convierten en los líderes capaces que necesitamos a medida que proliferan las amenazas a la libertad digital. Ford Foundation and Mozilla are accepting applications from organizations eager to host a Mozilla Fellow. If you’re an organization championing internet health, aplicar. Ahora en su quinto año, el Mozilla fellowship program pairs talented, passionate technologists with like-minded organizations. The fellowship’s goal: to fuel the internet health movement by matching fellows with host organizations with synchronous interests, where they will find mentorship and work alongside each other fighting for digital rights. El plazo de solicitud es Domingo, marzo de 3, 2019. You can apply aquí. Para obtener más información, visite https://foundation.mozilla.org/fellowships/ o si tienes preguntas envíanos un correo electrónico a [Email protected]. Have questions about the application itself? See the host partner FAQs here.